For more than 23 years, The Singleton Group has been training private and public sector employees throughout the UK, In food hygiene, first aid, and health & safety skills. The Company has two training centres in Lincolnshire, one in Lincoln (The Training Hub) and the other in Grimsby (The Safety Training centre), which delegates find ideal for learning away from their busy work place. Our trainers also travel all over the UK to deliver training at clients own premises. Nigel Singleton is the owner of the Singleton Group. Nigel set the company up back in 1995 and started it working from his own home. 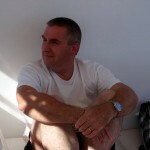 He has a degree in Fishery Studies which he took in Hull, a Diploma in Food Hygiene and a Diploma in Health and Safety. In his spare time he likes to go fishing to unwind from the hectic life at work. He is also a martial arts instructor in Shotokan karate and is a 3rd Dan black belt. Glenda Minns is our office manager and co-ordinator, she is the first port of call when you contact us. Before joining Singleton’s, Glenda worked for McDonald’s Restaurants Ltd for 26 years as a regional administrative manager. Glenda manages the day to day running of the office, booking courses and the accounts system. Glenda started with the Singleton Group in April 2012. Mandy Aiken has been with Singleton’s for over 13 years as a trainer and has previously worked for Hyder Business Services as part of the Work Focus team and McDonald’s Restaurants Ltd as a manager, she has the NEBOSH certificate, a level 4 qualification in food hygiene and is an Emergency Medical Technician. Mandy teaches most courses that Singleton Training Services Ltd offers. Angie Redfern has been with Singletons for 4 years. 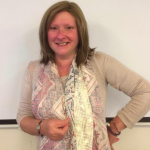 She has has been training in the care sector for many years, she is our specialist care trainer, but also teaches 1st aid, food hygiene and is getting to grips with the health & safety side of training. Angie is an Emergency Medical Technician. Chandra Ross has been with Singletons for 3 years. Chandra teaches 1st aid and care related courses and is an Emergency Medical Technician with a wealth of medic experience. Mathew Singleton has been with the company since April 2014. Mathew teaches most of the courses we offer and is an Emergency Medical Technician. In his spare time Mathew teaches Shotokan karate and is a 3rd Dan black belt. Carin Pollexfen-Smith is our newest trainer and started working for Singleton Training Services Ltd in 2017. Andy Barlow is one of our newer trainers and started working for Singleton Training Services Ltd in 2018. Lewis Slattery is our newest trainer and started working for Singleton Training Services Ltd in 2018.